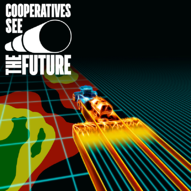 "Cooperatives-See the Future" is the 2018 Co-op Month theme, and Environmental Tillage Systems (ETS) is proud to partner with six different co-ops. The SoilWarrior covers more than 60,000 acres, bringing the future to their patron’s farms with the use of the SoilWarrior, the only complete precision strip tillage system. 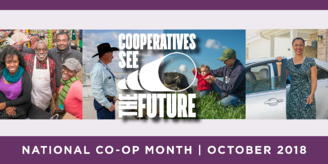 October is national Co-op month and has been since 1964. U.S. Secretary of Agriculture Orville Freeman, a former Minnesota governor, proclaimed October as Co-op Month. There are more than 40,000 cooperative businesses in the United States with 350 million members (many people belong to more than one co-op). These cooperatives generate $514 billion in revenue and more than $25 billion in wages, according to a study conducted by the University of Wisconsin Center for Cooperatives, with support from USDA Rural Development. Co-ops offering strip-tillage with the SoilWarrior confidently know that it will boost soil health and minimize erosion, while blending nutrients and crop residue in the tilled zone for every customer. The SoilWarrior also utilizes guidance and variable rate technology to place the right amount of nutrients in the soil for an optimal seed bed. Environmental Tillage Systems is continuing its efforts to partner with ag retailers who place an emphasis on precision nutrient placement and getting the best return on investment for their patrons. ETS has developed a retailer specific program, Precision Ag Retailers (PAR), which is designed for the innovative ag retailer looking to differentiate themselves from their competition by offering custom strip till as a part of their services. Ag retailers are a key source of knowledge and support regarding fertility and innovative technologies. offer strip-till with the SoilWarrior.